These vehicles stand out everywhere. SERVPRO of Marshall County is a franchise independently owned and operated, like the other 1700 SERVPRO franchises. Being part of the SERVPRO system means that while each owner owns and runs his or her own franchise, we are also a part of a SERVPRO network that stretches across North American. All of our trucks are painted the same familiar SERVPRO green, our staff is uniformed in the same SERVPRO swag, and we are all subject to the same SERVPRO corporate standards and requirements. 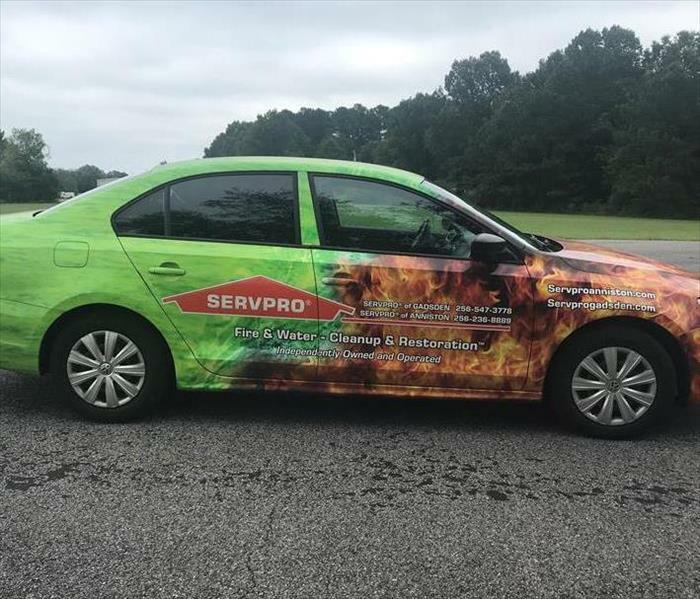 What this means for our customers is that you can rely on SERVPRO no matter where you are to provide a thorough and consistent service for whatever restoration job you give us. This is much different than using any old restoration vendor . Being the industry leader in cleaning and restoration means that SERVPRO franchises are called upon more often than any other company. Let us be the ONE Brand, ONE Team you call! One of the benefits of calling SERVPRO of Marshall County is that no matter the size of the cleaning and restoration job, we can handle it! You've got that sofa that needs to be cleaned? Call us. You've got 100 sofas that need to be cleaned? Call us too! We have been called upon to clean up a small kitchen fire in a motorhome and have also been called to clean up after a huge commercial kitchen caught fire. And if our office can't handle the job on our own, we have access to over 1700 franchises across the country that can be called upon to offer assistance. When last year's tornadoes hit our area, we were inundated with calls from home and business owners as well as Facilities Managers from large commercial properties and college campuses. The call load was too heavy for our staff but we knew that help was just a call away. 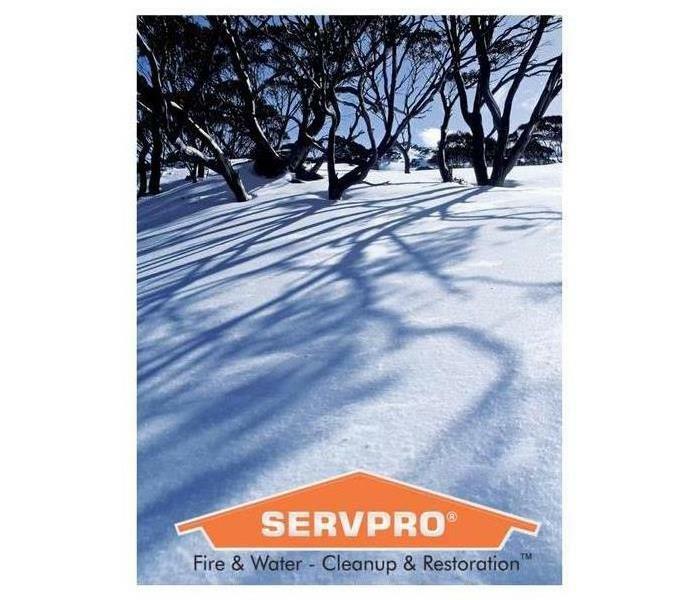 SERVPRO franchises as well as a SERVPRO Large Loss team from neighboring cities and states came to the rescue and were here within hours to help our customers get their lives back in order. SO let us know what need you have and we will find a way! We are always here to help! SERVPRO of Marshall County is #HereToHelp. SERVPRO franchises are independently owned and operated, by we are all still a part of the SERVPRO family. We help each other out, just like family. If a neighboring franchise has an overload of calls (we call it double occupancy), they can call another SERVPRO to help. We also help each other out when large events happen. Hurricanes, tornadoes, floods, freezes, and wildfires happen every year. We call these Storm events and multiple franchises outside the affected area will send crews to the area to help. SERVPRO of Marshall County participated in one last month. 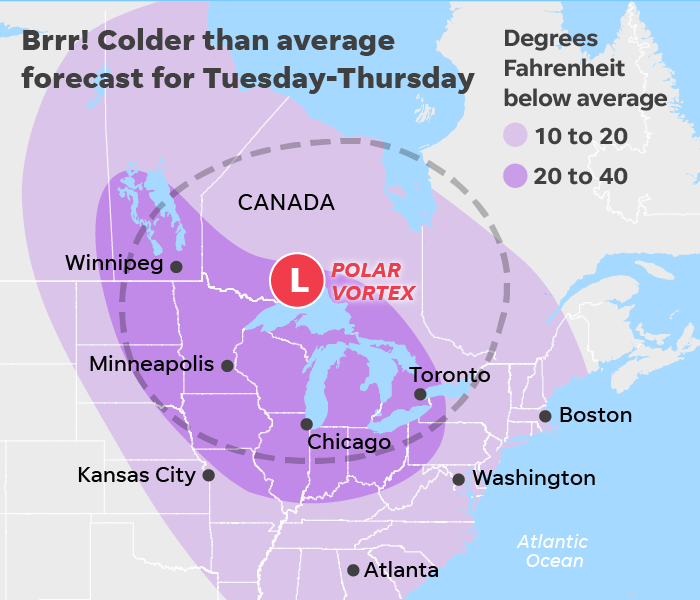 The polar vortex in the Mid-West had temperatures dipping to -52 in some places. Pipes froze. A few days later the temps rose enough to allow those pipes to begin thawing. The local franchises were inundated with calls and our crews were able to help. 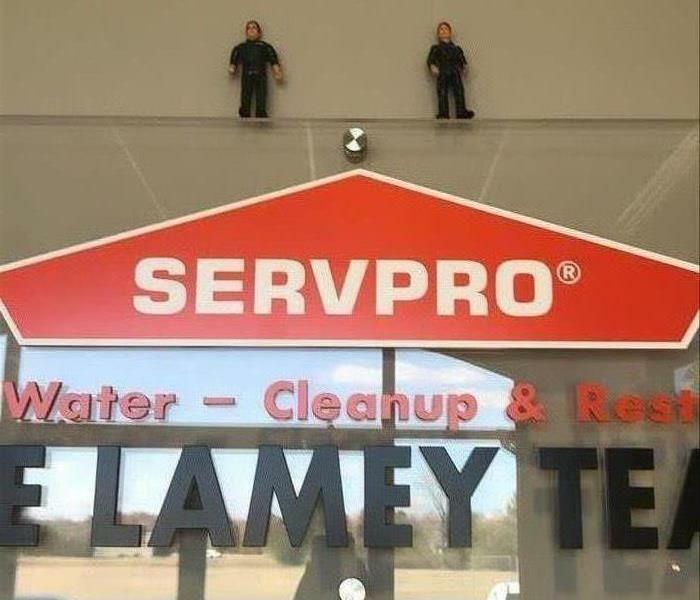 We are here for you when you need us, just like we are when another SERVPRO needs us. Call us at 256-891-0177, we are #HereToHelp. SERVPRO of Marshall County is licensed, insured, and certified. Have you ever wondered what makes each restoration company unique? What sets them apart? What makes you want to use them? Some companies are nationally known franchise operations, like ours. Some may offer more services than others, but not all are qualified to perform those services. 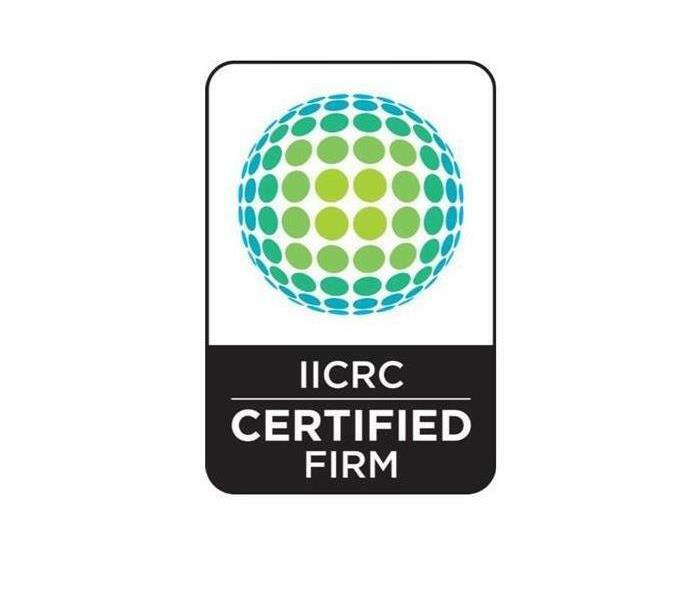 We as an office and a company in gerneral, are governed by the IICRC (Institute of Inspection, Cleaning and Restoration Certification). They set the rules and guidelines for how we take on and produce each job. Our owners, production managers, crew chiefs, and many of the office personnel have sat through hours apon hours of classes. They have taken tests to be certified by the IICRC, which renews annually. Have you asked if your service professionals are certified to do the work they offer? SERVPRO of Marshall County has trained and qualified professionals coming to your home or business. Not all restoration companies are created equal. Ask if your service professionals are licensed, insured, and certified (which we are). Merry Christmas from our SERVPRO family to yours. SERVPRO of Marshall County is here to help in this wet winter weather and any other weather that may come our way. This winter seems to be one of the wettest any of us can remember in a long time. There are memes all over Facebook and twitter about it, which are good for a laugh, but what about all the issues that come with all the rain…. In the last few weeks we have been inundated with calls for water remediation. Flooded basements, roof leaks, and such are the most common calls. 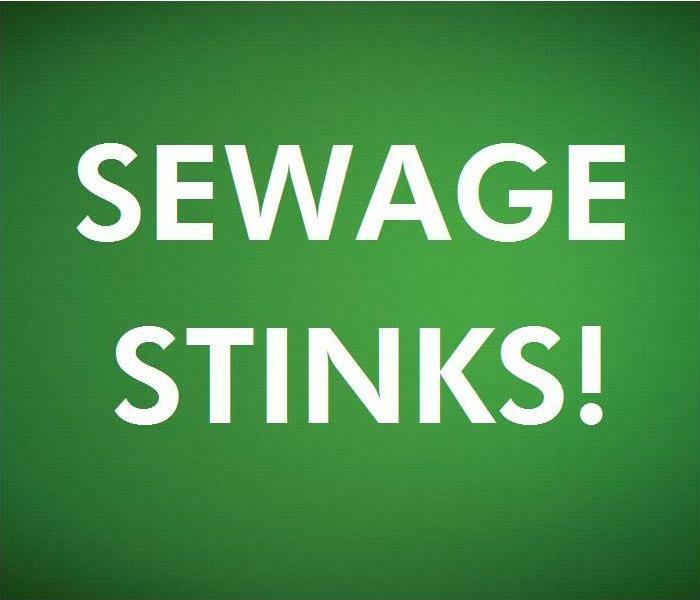 However, the one no one likes to talk about are the sewage backups, which happen frequently in times of heavy rain. We have had our fair share of them. SERVPRO of Marshall County is here for you to assist in this type of situation. Our crews will respond quickly, get the sewage cleaned up, set up drying equipment (if needed), and ensure the area is clean and sanitized. Our crews wear proper PPE (personal protection equipment) and take great care in handling these upsetting and often gross situations. We are #HereToHelp 24 hours a day 7 days a week at 256-891-0177. 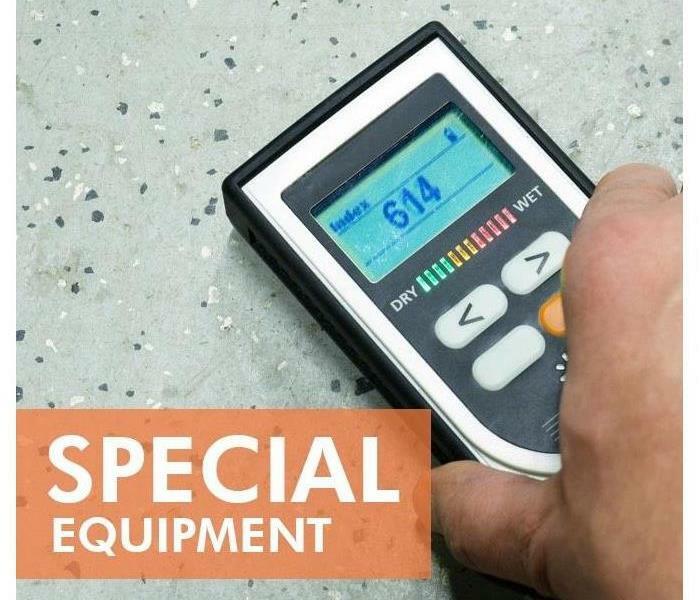 Special tools and equipment are used to monitor your remdiation process to get things dry as quickly as possible. Whether you have a pipe burst, water heater break, roof leak, or ground water comes into your home or business, you need water damage remediation. This is where companies, such as us here at SERVPRO of Marshall County come in. Speed is very important in this process to keep your water damage from allowing microbial growth to start. 1. The call is received and your information is notated as a crew is dispatched to your damage. The first responder will assess the damage and ensure the area is safe and the best course of action for your situation. 2. The production techniians will extract any water that is standing. 3. Removal of certain items may be needed at this stage of the process. Some types of flooring, wall material, or even paints can hinder the drying process, which could cause microbial growth. 4. Drying equipment will be set up. This equipment is generally air movers and dehumidifiers. These pieces of equipment are placed in specific patterns and positions to aide in the drying process being as quick as possible. SERVPRO of Marshall County is #HereToHelp. Call us at 256-891-0177. Owner Jennny Lamey teaching a water damage CE Class. 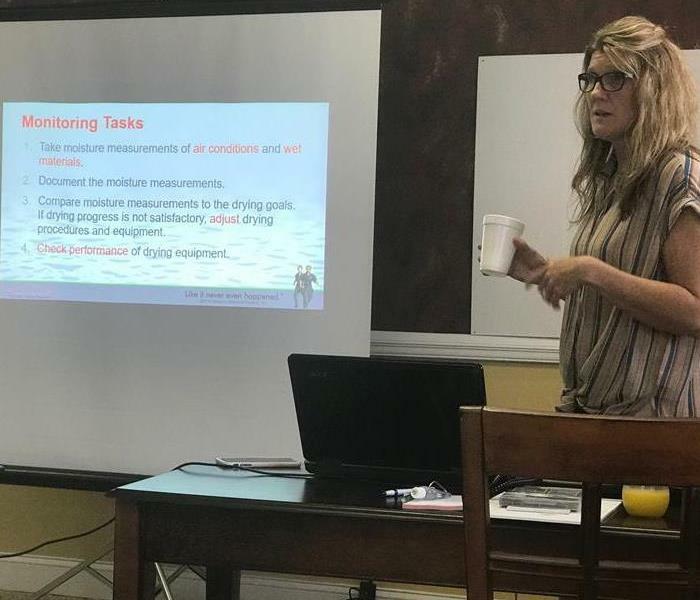 Recently, we held a small CE class in a local agents office on water damage restoration and how to understand the drying process. Did you know there are classes of water? Did you know that we are IICRC certified and have strict guidleines to follow to complete the water damage restoration process? These are a few of the items you could learn during a CE class. For more information on our CE classes, give us a call 256-891-0177. 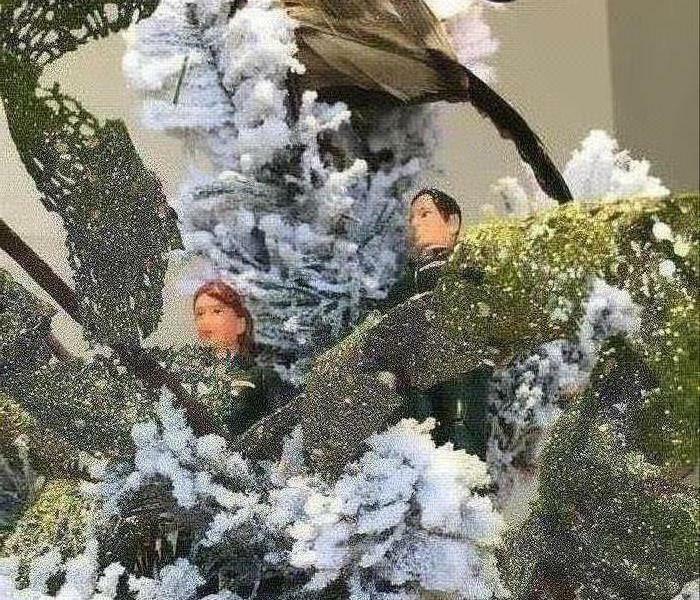 Snow... Yay!!! Freezing Pipes.... NO!!!! Here in Marshall County, Alabama, we get excited when we have even the slightest "threat" of snow. What we usually experience is some flurries, then heavy freezing. So many homeowners are unaware how to handle a situation in which their pipes freeze in these winter storms. A heavy winter freeze when your home is unprepared can lead to pipes freezing, cracking and then severe water damage in your home. As bipolar as mother nature is in Alabama, within a few days of this water damage to your home, microbial growth can begin if the right conditions are in place. Homeowners also sometimes forget safety precautions when it comes to indoor wood fires, space heaters, and gas logs. One in six home fires during the winter months (December, January, February) are caused by home heating elements. Be sure to check your smoke alarms regularly. Be sure to treat space heaters and fires with EXTRA caution. Know that SERVPRO of Marshall County is always here to help. 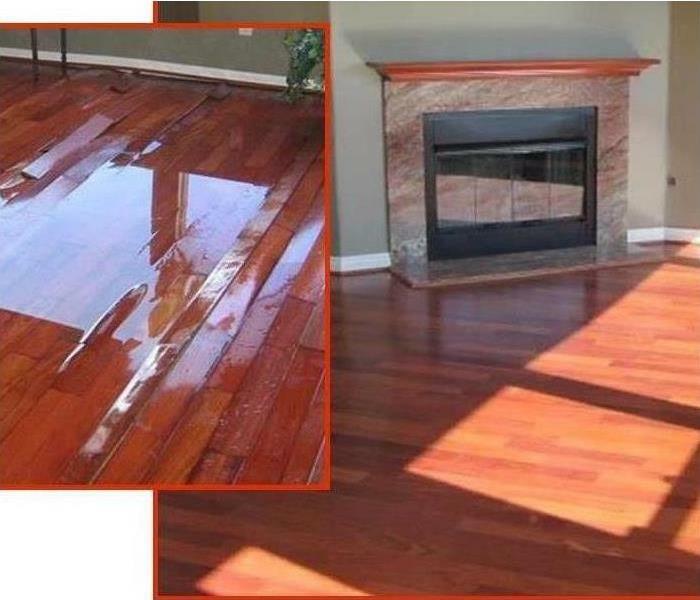 1/3/2019 - Hardwood Floors Ruined by Water? Think Again! 12/14/2018 - Snow... Yay!!! Freezing Pipes.... NO!!! !